Silverstorm 263515 Palm Sander – Most Affordable Quarter Sheet Sander? 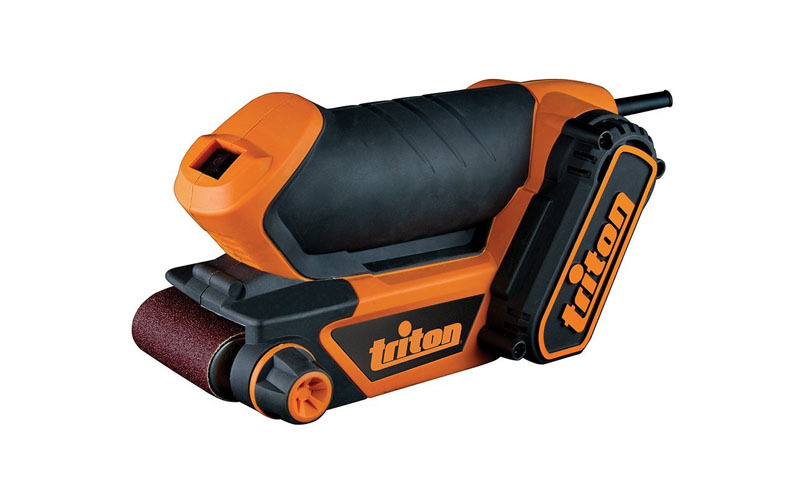 Triton TCMBS Palm Sander – The most portable belt sander around? 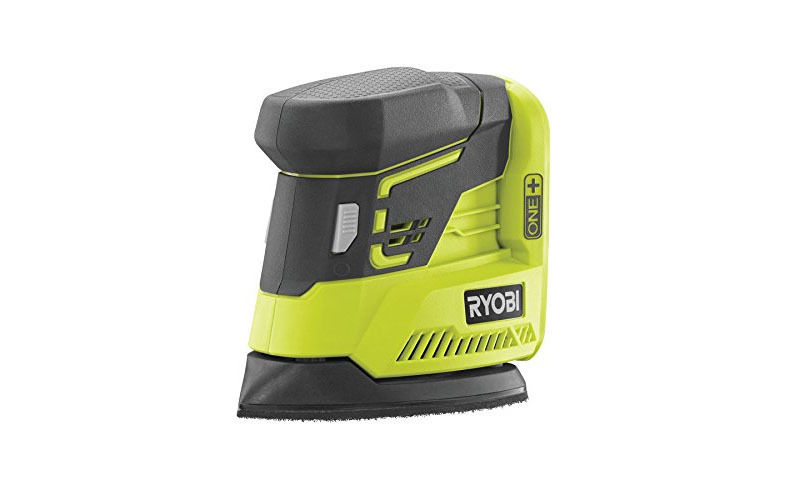 Ryobi R18 PS-0 ONE+ Palm Sander – The best cordless palm sander? 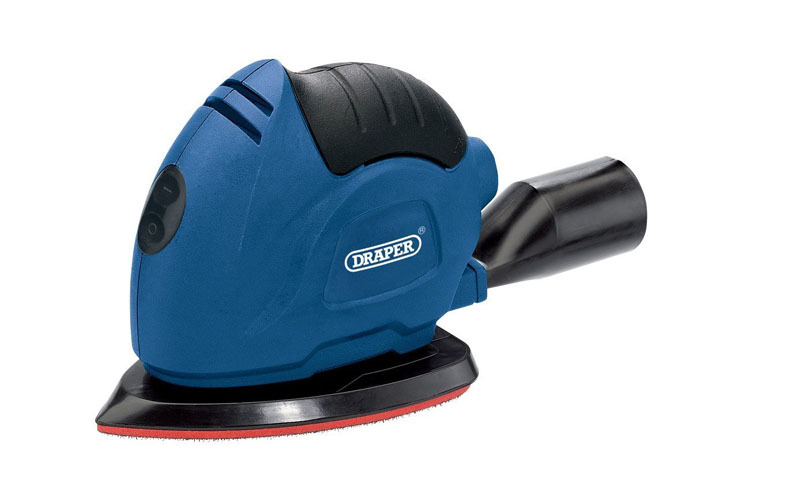 Draper 76219 Tri-Palm Sander – The best detail palm sander? Sanding and finishing wood is a real chore. It’s not something that you generally enjoy doing. Having a power sander can make your life much easier when you are working on a DIY woodworking project. But the bigger power sanders are not easy to control for beginners. A palm sander is a perfect alternative in this context. The best palm sander is compact, easy to wield and control. And the best part is since they are smaller, they also tend to be much cheaper and pocket-friendly than the behemoth belt sanders used by the pros. Available at a very low price point, the Silverstorm may be one of the best palm sander for DIY beginners. 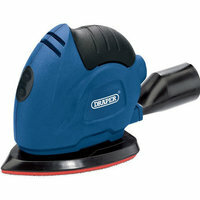 It is a standard orbital sander, with a 100x110mm base that accepts quarter sheets. It is an electric device that needs to be plugged in for use. The base allows both hook & loop disks as well as standard sander sheets (using a special clamp). 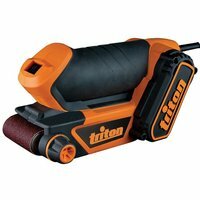 This Triton palm sander is pretty unique, with a belt sander-based roller head fitted on to a compact body that can be wielded with one hand. The belt head has several advantages over orbital sanders: it sits flush to the surface, allowing you to work closer to the edges of the work surface than ever before. Changing the belt requires no tools, thanks to a quick release lever. The palm sander comes with three sanding belts, as well as a European plug, along with a UK plug adapter as part of the package. Coming from a known brand in the world of power tools, the R18 PS-0 is one of the most mobile palm sander options available at the moment. 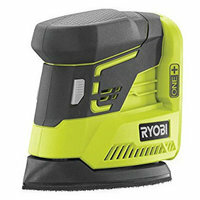 It uses the ONE+ system, which is the range of lithium batteries that can be used across all Ryobi cordless tools. You get a running time of two hours on the Li-ion batteries. 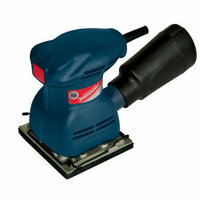 This is a detail sander with a triangular pad, ideal for working on corners and edges. 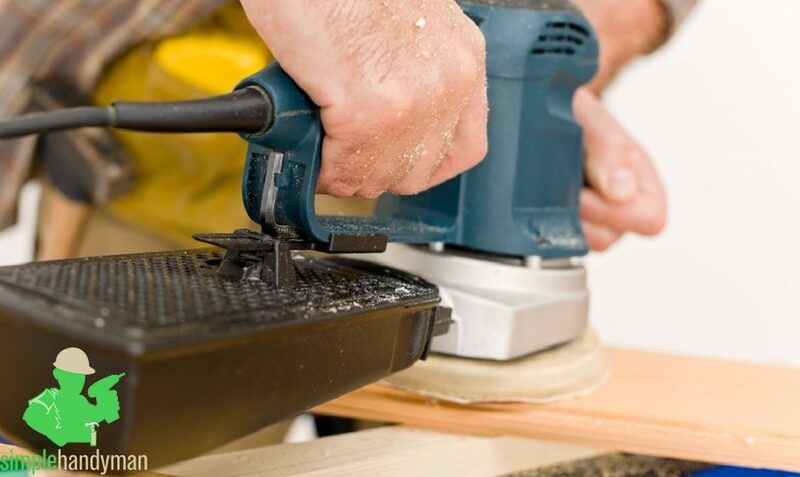 The Draper is a very light and compact detail sander with a triangular pad. It doesn’t cost a lot and yet performs admirably well in most light-duty sanding and smoothing of wooden surfaces. It seems to be quite durable and can last a good while, even with frequent to heavy use. With its triangular shape, it works extremely well in nooks and crannies. 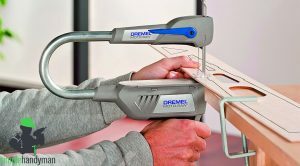 This is probably one of the best palm sander for wood DIY projects at the moment. Makita needs no introduction in the world of power tools. They are well known for their professional as well as DIY enthusiast grade of tools. This palm sander has an excellent contoured grip and a well-positioned power switch for easy one hand use. The motor has been designed to keep vibrations to a bare minimum. This is one of the smoothest palm sanders we have tested so far. The quarter sheet sander has an oversized clamp for easy installation and replacement of sheets. Overall, this wired sander is extremely petite and easy to control. 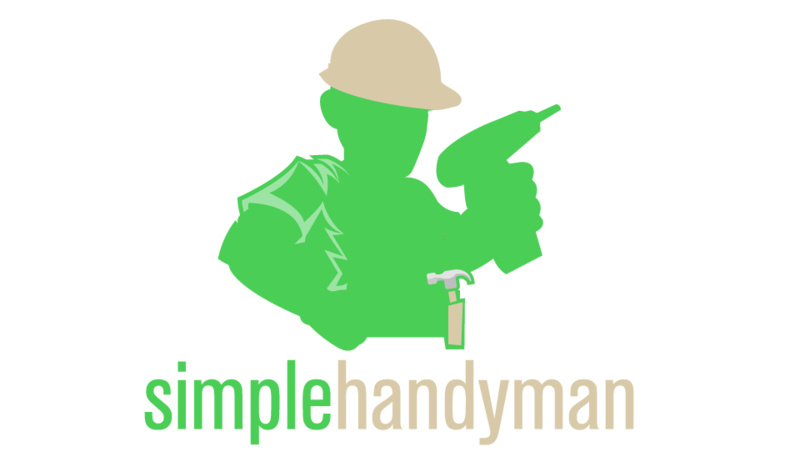 Simply put, a palm sander is a compact handheld power tool used for sanding, polishing, and removing paint/varnish from wooden surfaces. Palm sanders can be operated with one hand. 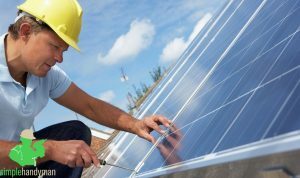 They tend to be lightweight, extremely easy to control, and ideal for smaller and light-duty jobs. They are available with both battery-operated as well as wired power systems. 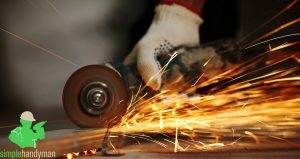 All palm sanders use a replaceable abrasive surface, usually sanding sheets or pads, cut into specific shapes. 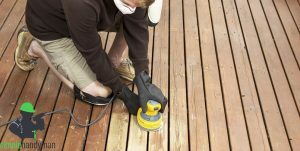 The form of a sanding pad on a particular palm sander can help identify the type of sander. You see, a palm sander is just a generic term for a small handheld sander. Technically speaking, there are broadly three different kinds of palm sanders, which will be explained in the next section. Here is an informative YouTube video explaining the basics of using a palm sander. Orbital Finishing Sander: This is the most common type of palm sander out there. They can be readily identified by the square shaped sanding pad. They usually accept sandpapers one-quarter the size of a standard 9x11 sheet. For this reason, they are also called quarter sheet sanders. These sanders work by vibrating the pad in tiny circles, or orbits. These are extremely tame power tools, ideal for smooth finishing, and minor tasks like rounding sharp edges. And they are so light; you can easily use them on vertical surfaces. Random Orbital Sander: These are pretty similar to an orbital sander, but can be distinguished by the round or circular shape of the sanding pad. 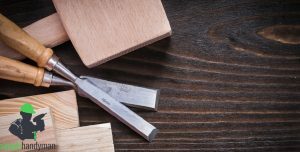 And thanks to that shape, these sanders also have the edge over their rectangular counterparts: the circular pads can spin, which makes these tools perfect for heavy stock removal as well as smooth sanding. They are better for larger surfaces where you don’t have to worry about edges and corners too much. And they also leave a better finish, as they don’t leave tell-tale swirls which are often the case with standard orbital sanders. Detail Orbital Sander: This is the last type of sander with a unique sanding pad shape. 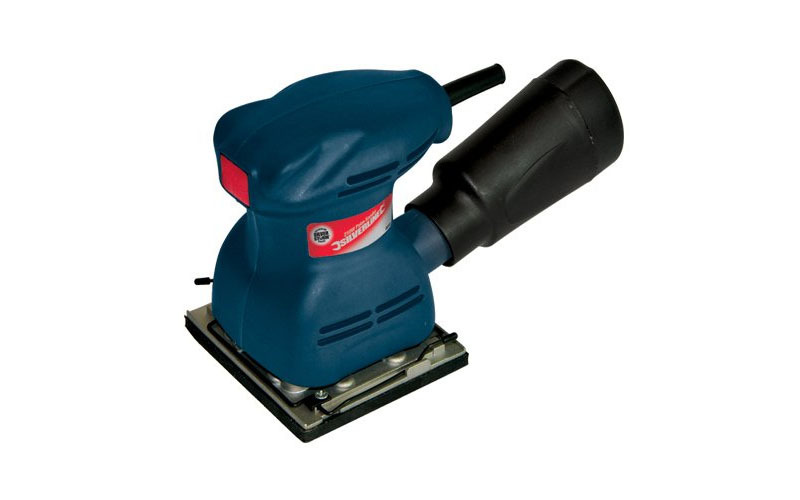 A detail sander is easily recognisable by the triangular shaped pads they sport. The pointed design allows them to work more efficiently in tight corners and other areas where a more controlled approach is ideal. Regarding basic shape and method of operation, they are virtually identical to a regular orbital sander. Portable Belt Sander: These innovative sanders are less common, but offer a compromise between handheld sanders and larger belt sanders. They have a size and weight similar to other palm sanders but use a rolling sand paper belt system instead of a vibrating pad. The roller can be utilised for stock removal as well as finishing and polishing closer to the edge of the surface. In our best palm sander reviews, you will find the best models for each of these four variants. Since they all have their strengths and suitability for specific tasks, try to choose one based on your requirements. 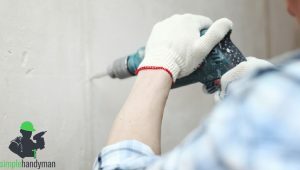 Regular Sander Sheets: the cheapest variety, easily available everywhere and used in manual sanding. They can be cut into any desirable shape or size. Pressure Sensitive Adhesive (PSA): these are cheaper sander sheets, but they do have some drawbacks. 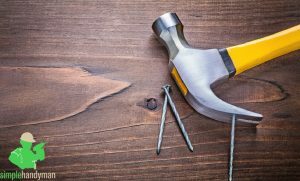 They take more time to attach, and once attached; you will usually use them until the surface is worn out. So they are not very flexible. But as a saving grace, they often have better grip than other types of disks. Hook and Loop (H&L) Disks: These operate in a fashion similar to the Velcro system. They may be more expensive than PSA disks but come with certain key advantages. They can be fixed and detached to the palm sander pretty quickly. And they can also be removed just as quickly. In situations where you want to use a different grit, you can easily remove the disk and attach another one. The tools featured in our best palm sander reviews mostly have H&L disk compatible pads. All sanders, regardless of their size and power ratings, generate a lot of sawdust and fine particles. And if you are working on painted or varnished surfaces, you can expect some fumes as well. Now, most palm sanders are kitted with some form of dust removal system. But these compact systems may remove, at best, 50% of all dust generated. 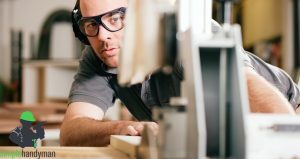 So always make it a point to use protective goggles and most importantly, a dust mask (or even heavy duty respirator) for your health and safety. In our opinion, the Makita BO4556 is the best electric palm sander in the UK at the moment. It has the unrivalled build quality and the kind of thoughtful design that we have come to expect from a brand like Makita. At a not too high price point, it offers a nice balance of features, performance, reliability and durability. 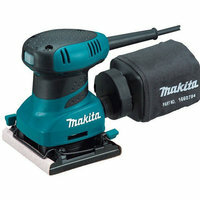 And as a regular quarter sheet orbital sander, the Makita is more than enough for all basic DIY tasks. And it also uses cheap and easily available sanding sheet rolls. There may be other good detail sanders and circular random orbital sanders out there. 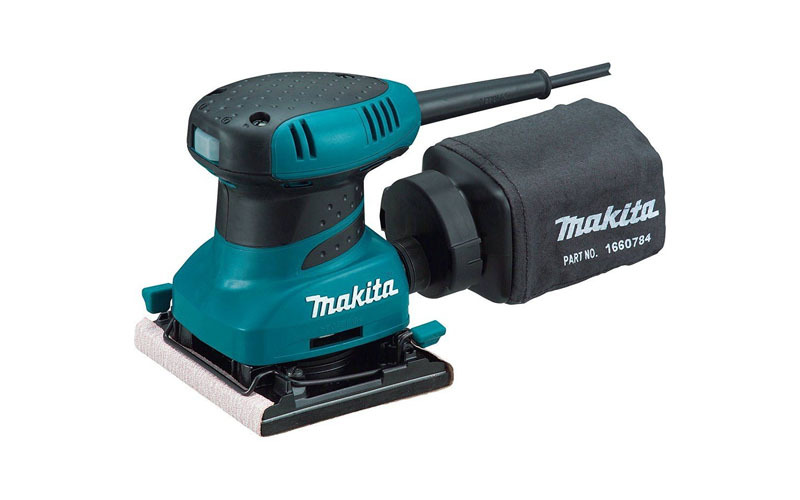 But as a jack of all trades, the Makita outshines them all and easily takes the top spot in our best palm sander review.